We often spend years invested in the stories of characters we come to love—so much so that their living spaces become our own. While it might not seem that interior design intersects with an OnDemand queue, living spaces can mimic aesthetics of your must-watch shows and characters. 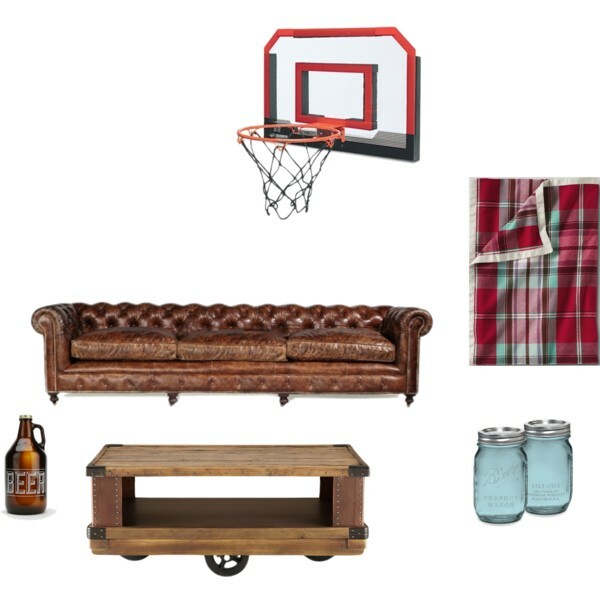 Mix a few items with your current decor for a subtle but fun tribute. We’ve taken eight of our favorites and transformed them into different rooms around the house. 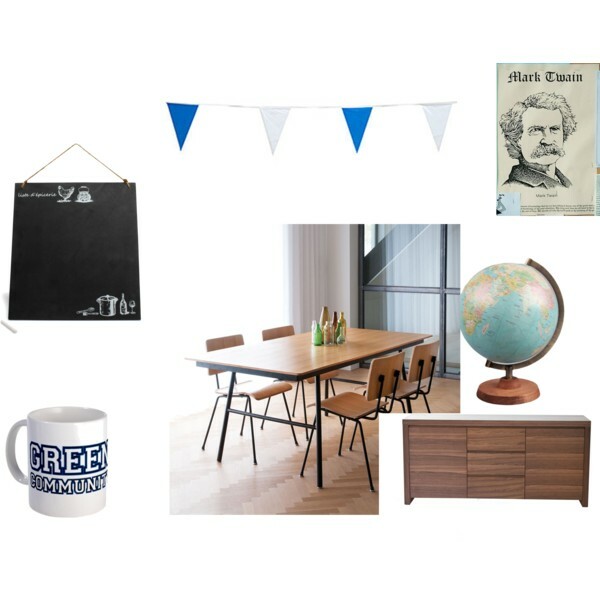 The students of Greendale Community College might eat in the campus cafeteria, but you can show your school spirit in a grown-up dining room. A schoolhouse-style table and chairs are perfectly in line with modern design trends. A globe, chalk menu board and a Mark Twain poster straight from Greendale’s halls make you look smart while you eat smart. Foods of all kinds are featured prominently in the Parks & Rec repertoire. Candy from Sweetums is always on the menu in Pawnee, displayed here in elegant apothecary jars. 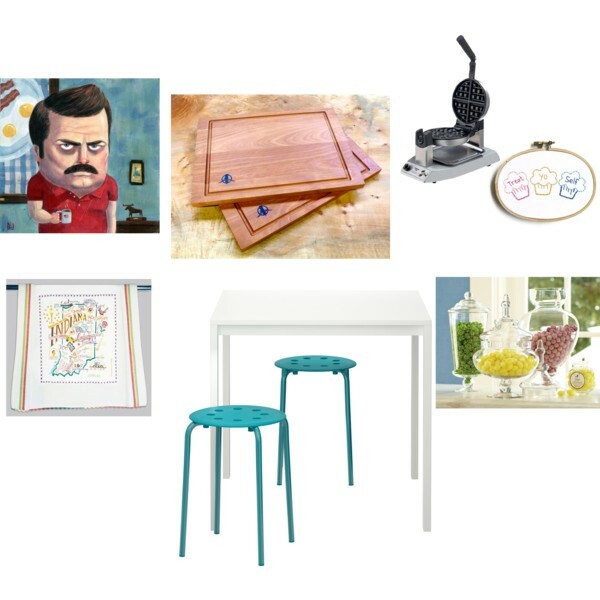 No Parks-inspired kitchen would be complete without tributes to meat for Ron Swanson and waffles for Leslie. Show your state pride on a handmade Indiana tea towel and prepare your meat on a cutting board from Nick Offerman’s own wood shop. 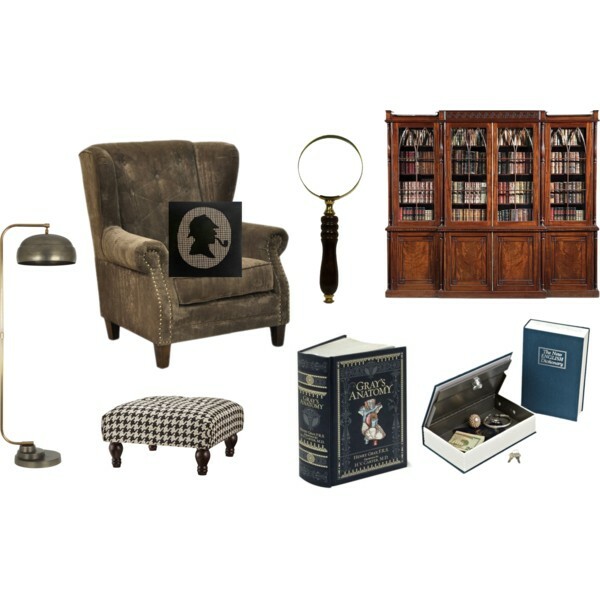 It’s elementary, my dear Watson, that every proper detective needs a proper library to conduct his studies. A room for someone of Sherlock’s intelligence requires a large, stunning bookcase. In true Holmes fashion, at least one book is hollow inside to conceal a safe for valuables. Don’t be afraid to incorporate a little Hound’s-tooth (of the Baskervilles) for a refined British vibe. 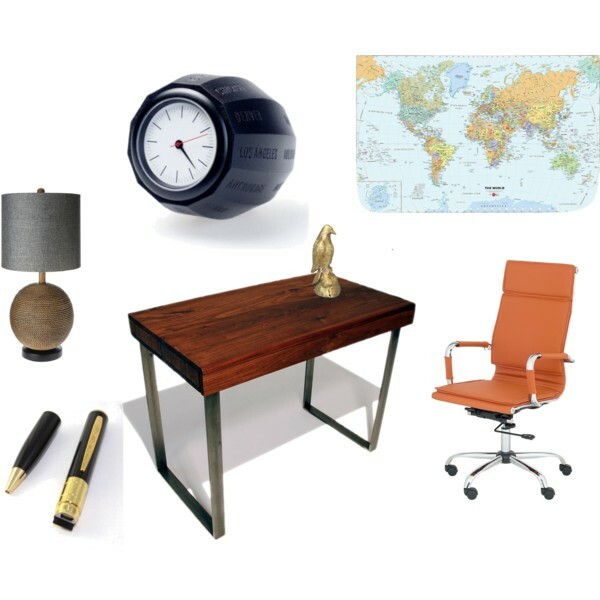 Work from home in style on your administrative tasks—or your covert spy operations—complete with bells and whistles that would make Carrie Mathison proud. Keep track of global happenings with a dry-erase wall map and world time zones desk clock and discreetly record conversations with a spy camera pen. A beautiful handmade desk features a secret pop-out drawer to keep your classified files under wraps. Mindy is a successful New York doctor with an apartment to match. 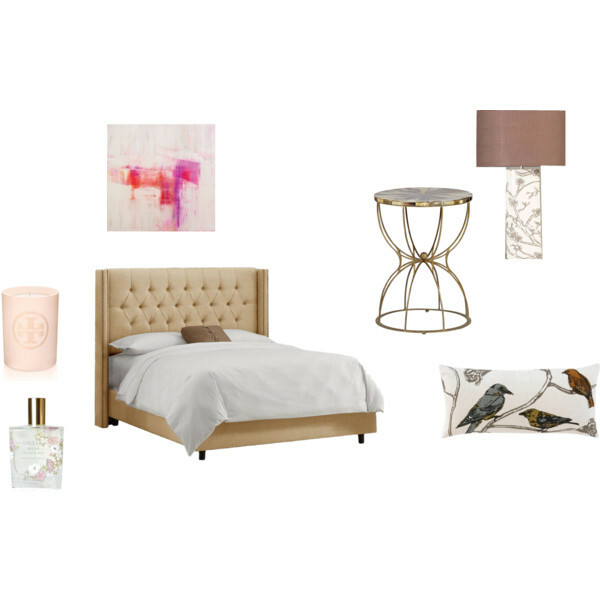 Spacious and light with a Hollywood glam vibe, Mindy loves abstract art and elegant furniture. Whether Skyping with pastor Casey or recovering from a breakup, Mindy’s gorgeous upholstered bed is a prominent feature on the show. You can achieve a similar look with a tufted headboard and bird-print bedding, along with a few eclectic accessories and beauty products. This little girl’s room is the stuff of fairy tales. With twinkle lights and a woodland canopy bed, you’ll feel transported to a magical forest when you step inside this room. 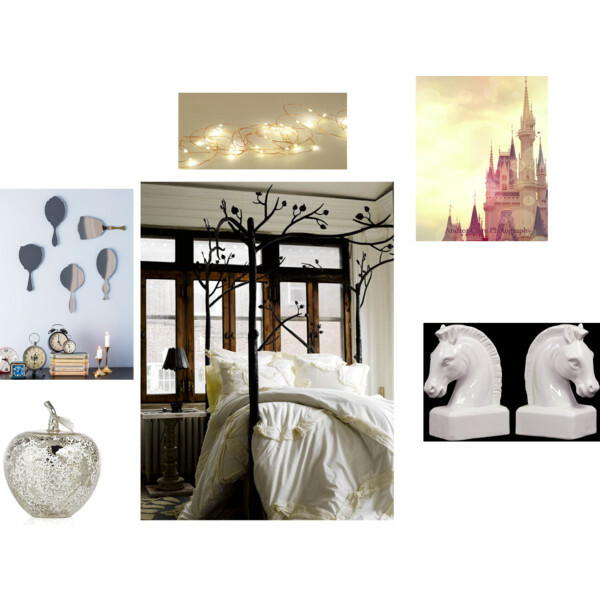 Add horses, castles and a “mirror, mirror on the wall” as a nod to the many different characters that visit the enchanted land of Storybrooke. The endlessly creative and imaginative journeys of Dr. Who are perfect for a baby’s nursery. Bright colors, pint-sized robots, a TARDIS piggy bank and a bow-tied Dr. Whooooo stuffed owl are cheerful and fanciful. A moon-and-stars mobile let baby dream sweet dreams of time-traveling adventure.